Jump-start your journey to an amazing, high-paying career. Check out Mississippi’s best two-year colleges for associate degrees based on earning potential. We have graduate salary reports for a small number of schools awarding associate degrees in Mississippi, including well-known Mississippi Gulf Coast Community College. Fred Haise, Dantrell Savage, and Kortney Clemons all graduated from 2-year colleges in Mississippi. Associate degrees can provide a broad range of career options, much more so than a high school degree alone. 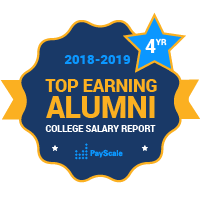 Here in our College Salary Report, we help students to discover what the best junior college in Mississippi may be for them — taking primarily into account career satisfaction and median salary, along with other factors that contribute to an overall better experience after graduation. With about 12,000 students, Hinds Community College is the largest 2-year school on the list. Mississippi Gulf Coast Community College is the most evenly split between male and female students; about 60 percent are female. This college also awards the most STEM degrees (about 11 percent of all degrees). With a STEM degree, students can go into a broad variety of careers as nurses, medical assistants, and more.